Born at Leipzig, Germany in 1883, he came to Canada with his family in 1900, entering the Manitoba Agricultural College and graduating in 1914 with highest honours. He served as assistant livestock commissioner and later livestock commissioner in Saskatchewan until 1919, when he established a farm at Kemnay that specialized in livestock and registered grains. 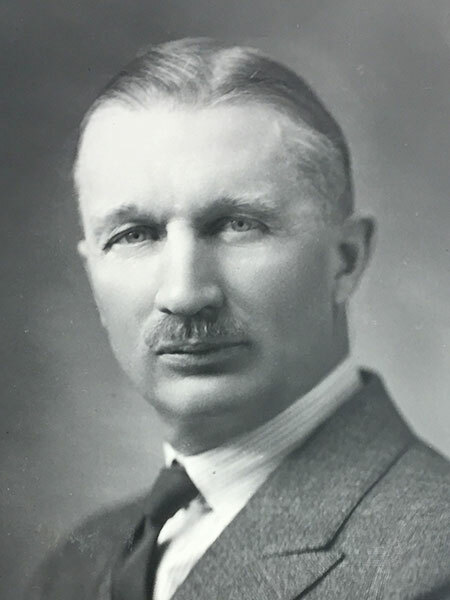 After several years as a director of the Manitoba Wheat Pool and Manitoba Pool Elevators, he became President of the Manitoba Pool Elevators, adding the Presidency of the Canadian Cooperative Wheat Producers Limited and Canadian Pool Agencies Limited in 1937 and becoming President of the Pool Insurance Company in 1940. He served as a Governor of the University of Manitoba and on several major national grain committees. He died at Calgary, Alberta on 28 November 1940. He was inducted posthumously into the Manitoba Agricultural Hall of Fame. Service at Cost: A History of Manitoba Pool Elevators, 1925-1975 by F. W. Hamilton, Saskatoon: Modern Press, 1975. “Paul F. Bredt, Pool Elevator executive, dies in Calgary,” Winnipeg Tribune, 29 November 1940, page 25.